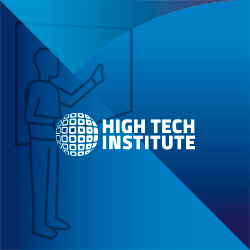 High Tech Institute is the leading training partner for the high tech industry to facilitate growth of individuals, teams or organisations, both in technical width, depth and in soft skills. Trusted by leading high tech companies worldwide. Several of our courses are certified by DSPE & Euspen. All our courses are available as open enrollment or as in house editions, which can also be customised. On request, we also develop tailor-made trainings, which are not part of our regular portfolio.